Healthy Personal relationships allow you to express your individuality, bring out the best in both of you, and encourage growth. Especially if you are in a new relationship, it’s best to set a foundation for a positive and healthy relationship from the very beginning. By setting your focus on respect and helpful communication, you can enjoy a healthy and fulfilling relationship. Don't expect your partner to be able to read your mind or “figure it out.” If you have a need or want to express something, you need to communicate it yourself. It’s not fair to you or your partner when you don’t communicate your needs. Specially, don’t hold on to the things that bother you. If something is bothering you, share that with your partner. When you share your feelings, be receptive to the opinion of your partner on the matter. Healthy Boundaries are not meant to make you feel trapped; instead they create a sense of relief and personal space. They are created to maintain respect and understand expectations in your relationships. If something makes you feel uncomfortable, bring it up and discuss how things need to change and how each of you will make changes. If one person wants to spend lots of time together and the other does not, it’s important to set a boundary of how much time is appropriate together and apart. Don’t let your partner control you and don’t control your partner either. Setting boundaries means respecting each other and agreeing to compromise gracefully to make the relationship work well. Share your thoughts and feelings with your partner and stay open to the feelings that arise. Support your partner’s feelings especially during stressful situations. 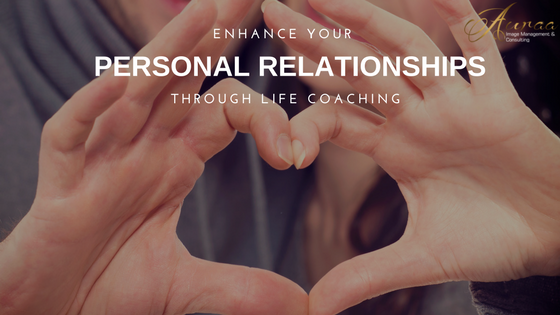 Connecting with your partner on emotional level allows you to empathize well and create a strong bond. If you’re feeling emotionally disconnected from your partner, start asking questions about feelings and try to discover your partner’s feelings, you may begin to feel more compassion. Relationships can be fun and exciting in the beginning, that is the best time to set ground rules of calling and addressing each other is a certain manner, supporting and strengthening each other during social gatherings etc. Act in ways that demand respect from your partner. Strive to treat each other with respect at all times, even when you are mad at each other. - Your partner’s wishes, thoughts, and feelings must hold value. Mutual respect is an important part of a healthy relationship. - Talk to your partner about creating respect in your relationship. Decide “do’s” and “don’ts,” such as name-calling. - It’s absolutely to set up and implement "fair fighting" rules. Like No degrading language, No blaming, No yelling, No use of force, Stay in the present, Take turns speaking etc. Don’t let either of you take charge of every role for another person. Let your partner have time with friends and family and pursue their hobbies and passion. It’s important for each person to have their own friends and activities that are enjoyed on their own. While you may want to spend every moment together during the beginning of the relationship, respect each other enough to spend time apart and know that time spent apart doesn’t mean anything negative for the relationship. Support your partner in maintaining friendship for better growth.